Looking for Real Estate in Quivira Los Cabos? 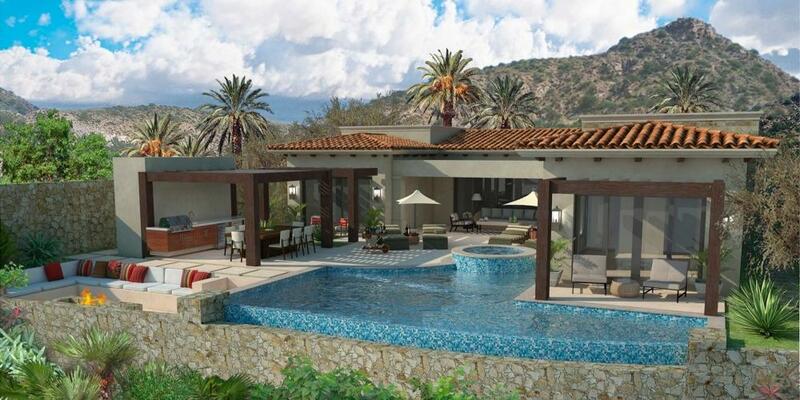 Cabos Luxury Homes exclusively markets all of the full-ownership projects within the master planned community of Quivira Los Cabos and all off-site projects backed by the Pueblo Bonito Group. 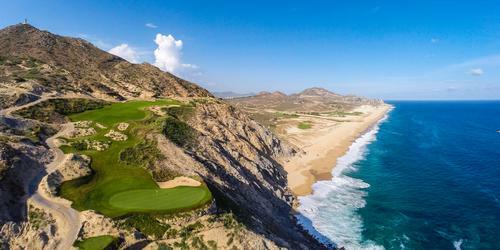 Quivira at present has three full-ownership projects available for purchase: Copala, Coronado, and Montecristo. 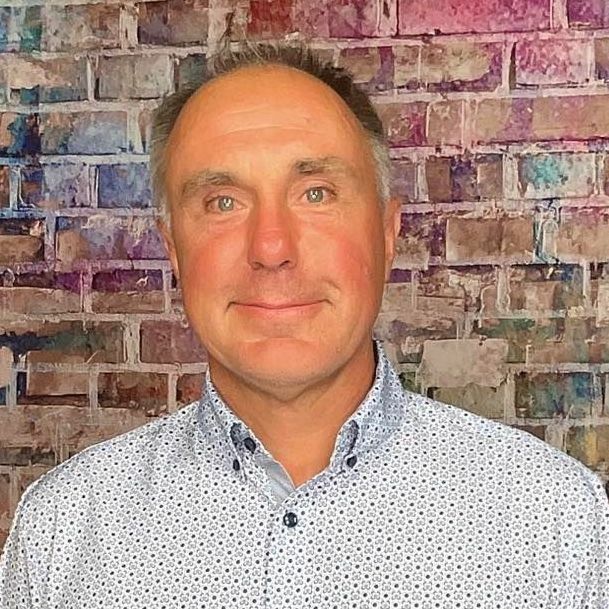 Below, Ryan Winegar, Sales Manager at Cabos Luxury Homes, answers some commonly asked questions about ownership opportunities in Quivira. Can you provide a brief overview of Quivira and what options are current available for real estate? Quivira is a master planned community with over 3 miles of pristine beachfront real estate just northwest of Cabo San Lucas. The property is almost 2,000 acres with a security guarded entrance at either end, one just past the back entrance to Pedregal and the other near the highway exiting Cabo on the road to Todos Santos. The Quivira master plan is based around two Nicklaus Signature golf courses and a series of gated and guarded private residential communities. Quivira also boasts hotels and resorts which offer a variety of amenities for residents such as spas, restaurants, shops, and bars. A significant area of Quivira is left as green areas which play host to several of the lifestyle amenities tied into a vision of a well-balanced lifestyle which Quivira has branded as the "Q-Life". At present there are 4 private residential communities offered for full ownership real estate. The first of these communities is Copala which started just 4 years ago and is nearly sold-out, though the best has been saved for last with the last of the condo towers looking directly down over the magnificent 16th fairway of the Jack Nicklaus Signature Quivira Golf Club course. 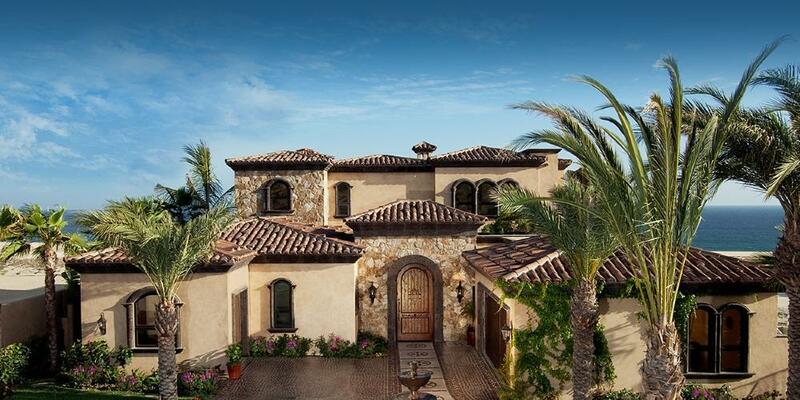 The exclusive private community of single story estate-size homes right in the heart of the Nicklaus Signature course called Coronado, is comprised of just 64 homes, half of which have already been sold in pre-construction. The small exclusive enclave of hillside villas know as the Montecristo Private Residences are the only turn-key properties available within Quivira. With just 18 homes in this private section, the Montecristo Private Residences boast the benefits of a hotel-branded residence with services proportioned directly from the Pueblo Bonito Sunset Beach Hotel Resort. Last but not least of the full ownership real estate offerings in pre-construction is the fairway village community of Mavila. Surrounded by the fairways of the second Nicklaus golf course, Mavila offers both golf and territory views with walk up convenience and access to all the amenities Quivira offers, all at an affordable price. Also, as Copala is almost sold-out, we are in the planning stages of a new project to replace the niche product it represents. Quivira offers full/fractional ownership what is the difference? Fractional ownership is a term used to describe how a single villa or estate home can be shared by multiple owners through the division of the year into blocks of weeks. Much like a time-share, each fractional owner possesses any number of individual weeks or months. Owners pay a maintenance fee per week which entitles them to upkeep of their property and certain additional services. Full ownership is just what the name implies, full ownership of a property by a single client. Being an actual real estate property ownership, the client can do what they choose with the property including renting it for supplemental income. Here at Quivira we offer both property management and rental service of the homes for our real estate clients. The clients are also free to sell their real estate property whenever they like on the open market. The Q-Life is our name here at Quivira for all of the lifestyle amenities we are developing for the enjoyment of our residents. The Q-Life concept is based six "pillars" which form the base of the program which seeks to enrich the lives of residents and afford them a life full of unique experiences while living at Quivira. The pillars are Healthy Living, Cultural Experiences, Flavors, On Four Paws, Cool Club, and Quivira Chillin'. The Q-Life is a comprehensive and synergistic approach to overall individual and group well-being which inspires physical, cultural, social and intellectual wellness through the harmony between nature and friendly, happy communal living. What are some common questions about closing costs/HOA fees? Clients always ask what the closing costs are and honestly are often surprised at how they seem a little high. The truth is, the closing cost depends on the value of the property and many of the fees within the closing cost are fixed so the percentage of the purchase price the closing cost represents is higher in properties of lower value. At any rate, the cost usually runs from between 3.5% and 6% of the purchase price depending on whether the purchase is financed or not. Here at Quivira we offer in-house financing for 50% of the purchase price, which is great for foreigners who usually can't qualify for a mortgage through a Mexican bank. One thing I like to point out to clients is while the closing costs might seem high, the annual property taxes are surprisingly low. Typical property tax in Mexico is around 1/10 of 1 percent of the value of the property. So a million dollar home could pay as little as $1,000 usd in property tax per year. Over time this more than makes up for the higher closing costs. People also often ask what is covered by the HOA fees. Basically, the answer is, everything outside your front door. Each community within Quivira has its own HOA, and part of the HOA fees paid by each owner helps to contribute to the common areas both within their individual community as well as the larger master plan of Quivira. In this way the owners keep their community in top shape as well as guarantee their access to the common amenities such as the Golf Club, the Beach Club, the Armonia Spas, 24 hour security, landscaping, streets and lighting, etc. within Quivira. Property owners pay for utilities inside of their homes such as electricity, LP gas, water, and telephone which includes high-speed fiber-optic internet service. Quivira is also a resort with amenities like beach, golf, restaurants, etc. As a property owner, what is ones access to these facilities. Property owners of Quivira have access to all of the amenities within Quivira such as the beach, the golf courses, the spas, the restaurants, the Q-Life offerings, etc. via payment of their HOA fees. In addition, all owners enjoy discounts off many services of those same amenities: 10% off food and beverage at restaurants, 20% off spa services, 20% off of hotel rates, 25% off golf rounds, etc. Conveniently, these fees can be billed to the homeowners account. For those considering full time residence vs retired who winter vacation in Cabos, what is involved in long term stay and how long can one stay before they should consider citizenship? Also explain is involved for the options? Homeowners can reside in Mexico without becoming citizens. They can apply for and maintain a permanent resident legal alien status. This allows them to live in Mexico without having to return to the states continually. It is also possible to own while just entering the country on a tourist card, though it is necessary to return to their country of origin before the card expires to avoid risking fines or other inconveniences. 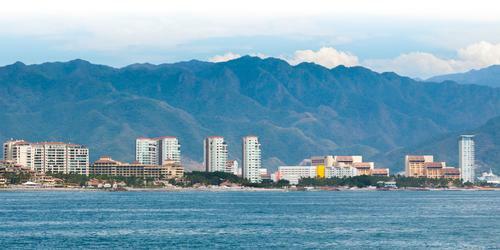 Under a tourist card a foreigner can stay within Mexico at most for six months at a time. Foreign citizens can apply for citizenship as well after five years of holding a resident legal alien status. Becoming a Mexican citizen gives foreigners some additional benefits, but not all countries allow you to have multiple citizenships, so foreigners seeking Mexican citizenship should check with their country of origin for any consequences of becoming a Mexican. It is also worth mentioning that there is a citizenship exam. It involves Mexican history questions and is in Spanish, so I suggest boning-up on your Spanish speaking skills and Mexican history. Ryan, you moved to Cabos permanently, tell about your experience? If so why did you make Cabos your home? How long have you been here? I first came to Cabo in the early 90's on vacation with my family thanks to my grandparents. We kept coming back to enjoy the climate, the beaches, the fishing, the food and the people. I eventually moved here to permanently enjoy the Cabo lifestyle, which I have to say has only become better and better with each passing year. For one thing there are far more top-level golf courses available to play then when I first moved here. I also have to say the sport fishing is still as good as ever. Cabo is a very special place. My family continues to visit each year. Where can one get more information? For more detailed information please visit our website at www.quiviraloscabos.com or send me an email with questions to info@quiviraloscabos.com. GolfMexico.com is a golf directory featuring golf course directory and golf planning tools. Copyright CityCom Marketing, LLC - GolfMexico.com - All Rights Reserved.